Another month with another challenge .Its time for a challenge in the MFB group .If you remember last month I had joined a fb group where the members would be assigned a challenge every month.Last month it was a blog and the participating recipe was this Hijazi almond coffee .This month it was an ingredient for the challenge.Dates were assigned for this months challenge .There are endless possibilities with dates and dates is one of my favourite dry fruits . According to a hadith "The people in a house with out dates are in a state of hunger". Date(s) is a super natural food.You can read the health benefits of dates here .The recipe I chose for today was on my to do list since famidha had posted on her blog .While I was googling for authentic Qatari food batheeth was mentioned as one of them .No wonder that the gulf states have some common dishes .Though Qatar is a gastronomic heaven and you are spoilt with choices there are very few outlets that serve authentic Qatari cuisine .Souk waqif is one such destination where you can find a few options.So this recipe is a token of gratitude for the country(Qatar) which has been a home away from home and my nest for half of my life. Batheeth is simple no bake cookie made with whole wheat flour .Though the original recipe uses stuffing i have just kept it plain and coated with sesame seeds,powdered almond and coconut.You can used pistachio too for coating the cookies or just serve it plain. 2. Pitt the dates and bend to a puree with little water if required. 3.In a heavy bottom pan roast flour until golden brown . 4.Switch of the flame and add the dates paste and cook for 3 to 4 minutes until it comes together. 5. To the melted butter add and ginger and cardamom powder stir it and add to the flour. 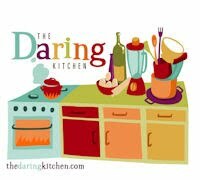 6.Mix it thoroughly until every thing comes together and resembles a dough. 7.Remove it from the heat and allow to cool. 8. When it is cool enough to handle with hands roll into roundels of aping pong ball . 9. Roll it in the desired nuts and store in a airtight container. 10.Serve it as a dessert or a snack . The last capture with those perfect font! MashaAllah! 😍 Batheeth is my fav too and my recipe on the blog is with the nuts inside and outside lol! Lovely props too ! Oh god i am becoming your photography fan! Yes dear I have avoided the stuffing as my kids dislike it ,instead rolled it in almond powder.Thank you for those encouraging comments. Your clicks are getting amazing by the day... 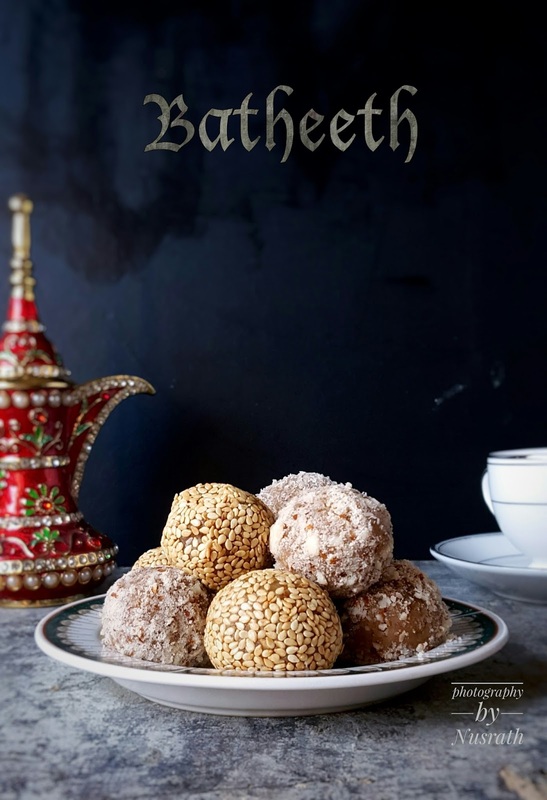 I guess Batheeth is common here too, though I have heard it is served in crumble form than that of a cookie... lovely choice of recipe! Aww! !Thank you honey.Yes it is a middle eastern recipe common in gulf countries.Yes me too saw it in the form of crumble which was not aesthetical so rolled it . 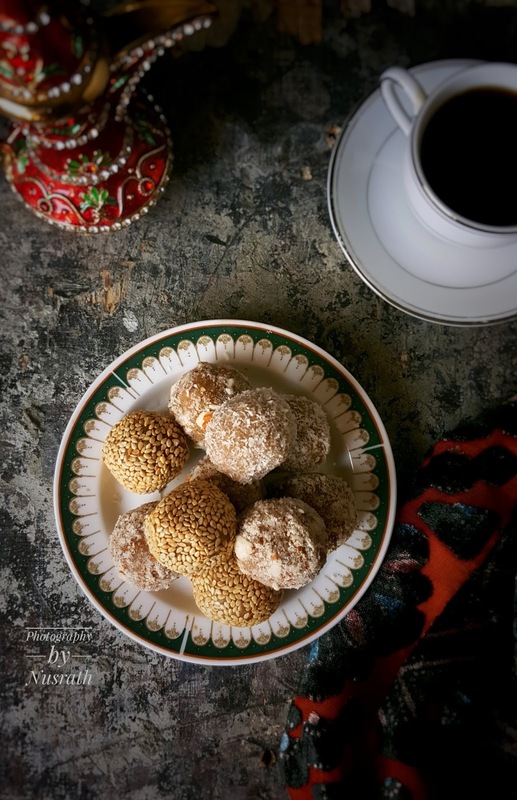 MaShaAllah lovely recipe and your clicks!